One Georgetown family continues to raise awareness for a rare disease their 11-year-old son knows all too well. The 4th annual Chandler’s Chance will be held in Georgetown Saturday and hosted by the Moore family. Their son Chandler was diagnosed with the rare metabolic disease Cystinosis at just 10-months-old. His father, Clinton Moore, says the fundraiser has expanded this year with a live performance from the band Dirt Road Outlaws. Moore says 11 other families dealing with Cystinosis will also be in attendance. All of the funds raised will go toward the Cystinosis Research Network. Before the fundraiser, the family is also hosting the first ever informational session about the disease Saturday in Milton. 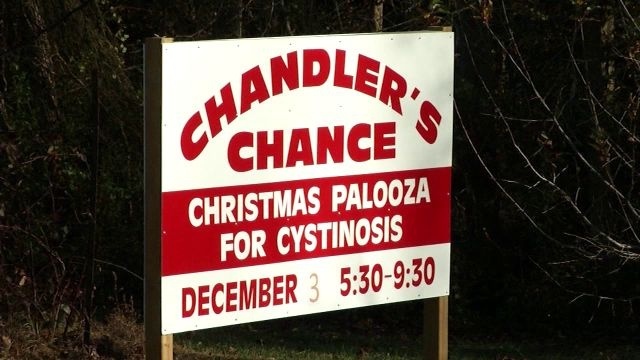 Chandler’s Chance will be held Saturday at 24062 Peterkins Road in Georgetown from 5:30 p.m. until 9 p.m.